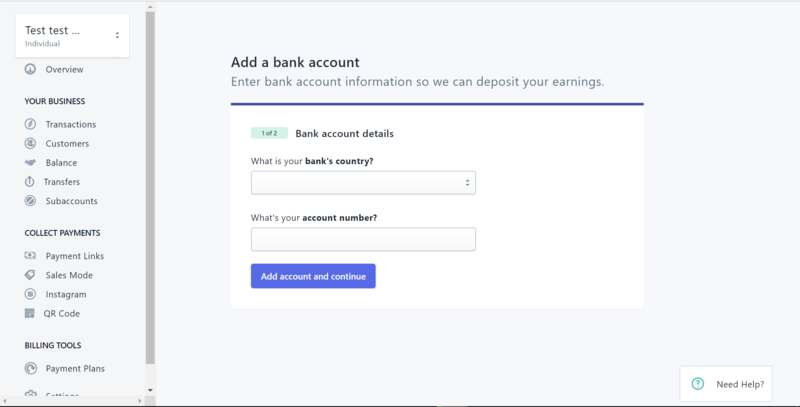 Next, select your bank's country, fill in the input fields such as shown below then click on the "Add account and continue" button at the bottom. 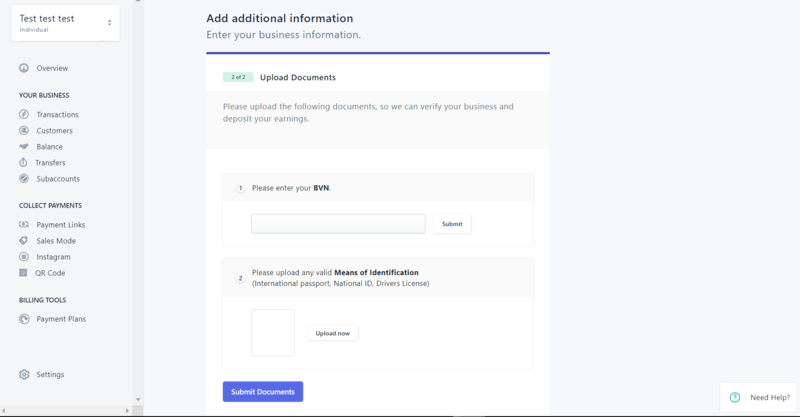 Finally, add your BVN (for Nigerian merchants) or a National Identification Number (For other countries), upload your means of identification (for an individual account) and/or certificate of incorporation document (for a business account), and click on the "Submit Documents" button. 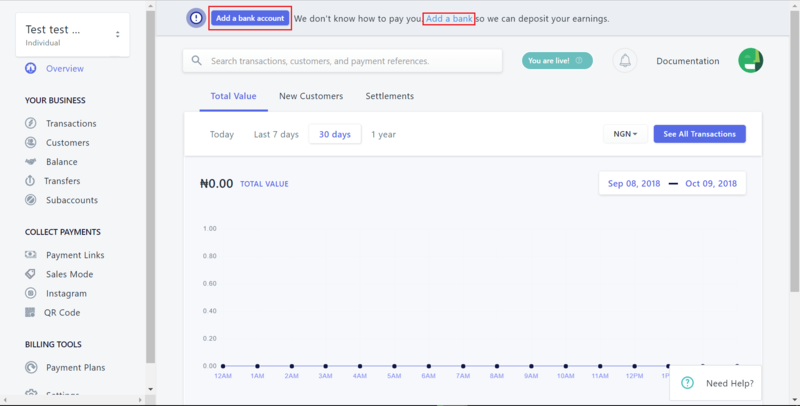 Congratulations, your verification details have been added successfully!